Here’s wishing all of you a very happy new year. May it be filled with lots of memorable food experiences. Now that I am back here after a while, it’s with a post that’s meant for breakfast lovers (even if you aren’t a fan, you should become one soon!). 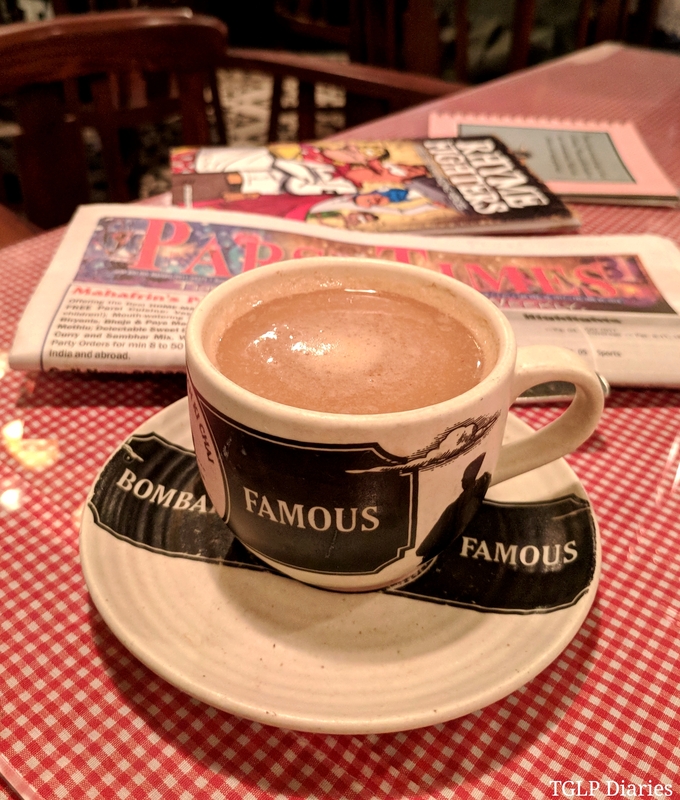 For those who know me well, it’s my favourite meal of the day… and when it involves a menu like ‘The Big Bawa Breakfast’ at Sodabottleopenerwala, it’s definitely nothing short of exciting. 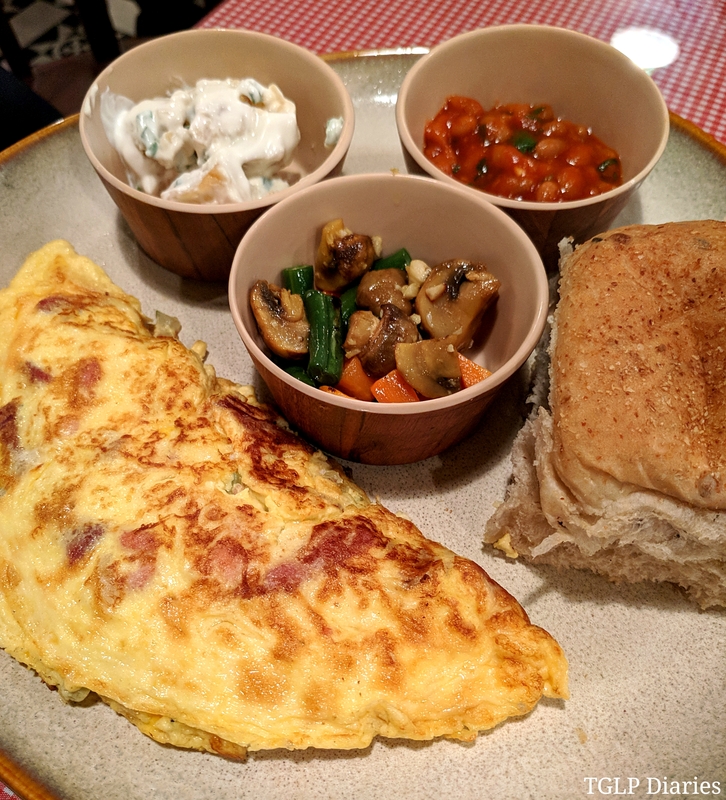 So here I was, on a fine Saturday morning… at their newly opened outlet within High Street Phoenix, Lower Parel to check out their freshly introduced breakfast menu. 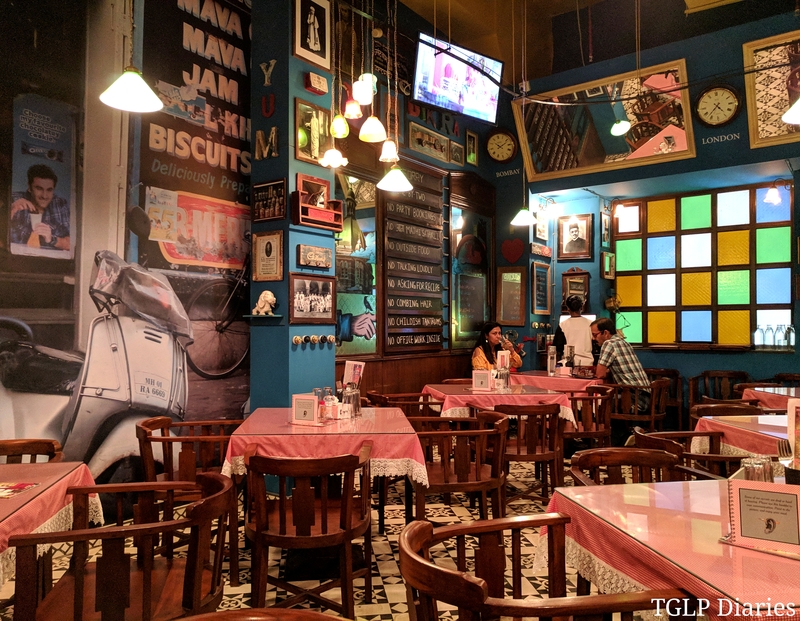 This menu includes a range of classic Bombay and Parsi breakfast options. They also have wholesome breakfast trays that are perfect for those who believe in having a magnanimous start to their day. Although I didn’t try too many Bombay specials (except for the kheema pao), the menu includes preparations like Pancham Puriwala ka Puri Bhaji, Eggs Kejriwal and Mushroom on Khari amongst others. PS. They also have some “Nitro Cold Brews” for those who may be interested. PHETELI COFFEE: A great kick-start with the Pheteli Coffee that became an instant favourite the moment I took that first sip. According to Chef de Cuisine Danesh Vakshoor, sugar is beautifully mixed in with the coffee decoction making it the perfect combination of this not so sweet but strong as hell caffeine rush. The froth on top is not light and superficial like the kind you find over your regular cappuccinos or lattes… but dense enough to create a wholesome texture to your morning cuppa. Definitely a #TGLPrecommendation from my end. PARSI CHOY: Up next, being a half bawi myself, I had to give the Parsi Choy a shot. 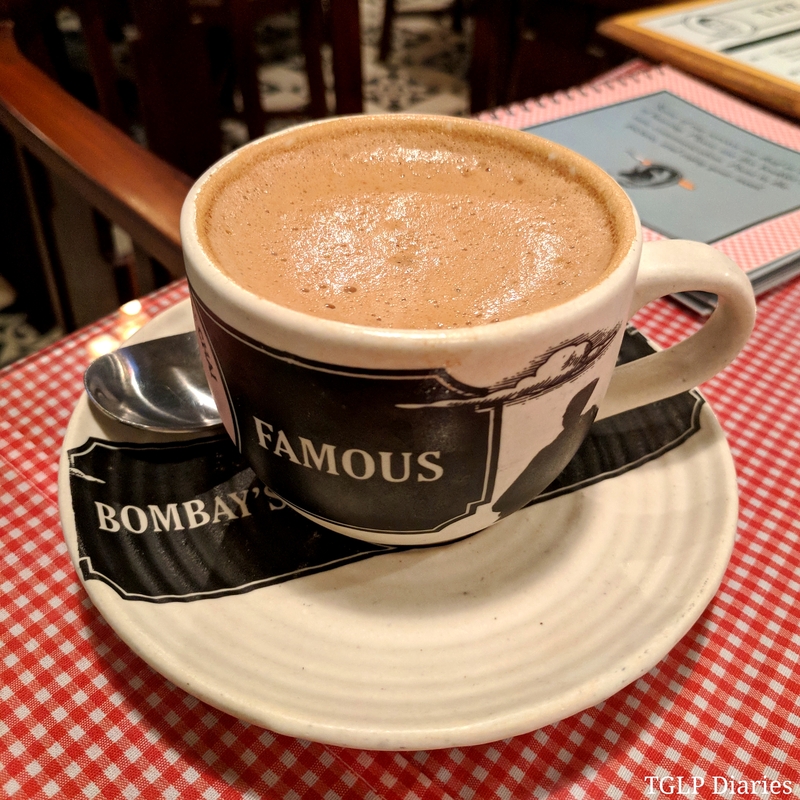 It’s Parsi style tea that has flavours of mint and lemongrass and is served with milk on the side… Something you’d witness at every Parsi household. I would say it’s an acquired taste for some, if you like to experiment with your chai and haven’t tried this yet, go for it. It’s my personal favourite kind of tea. 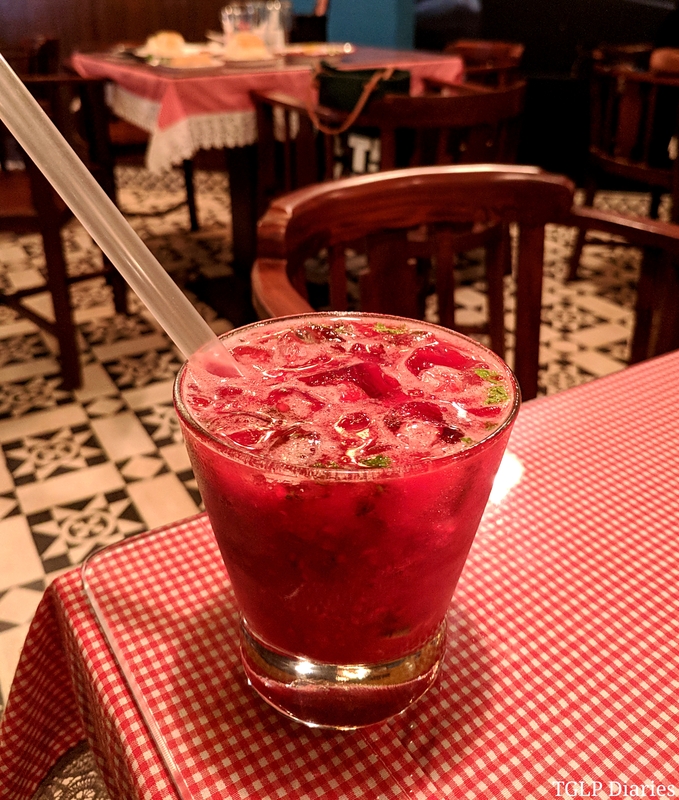 BAWI’S DETOX: Probably my new favourite cold beverage other than the classic raspberry soda by Pallonji’s… it’s berry-filled zest can really work on your psyche and remind you why fruits are good for your health. If you love a blend of berries, this is worthy of being your poison. A sprinkle of coriander on the top adds not just some colour but also a fabulous flavour to the drink. Served with ice, it only gets better as it cools your mind as well as body. Aptly named, Bawi’s Detox is quite a fruitilicious revelation! BLACKBERRY AND MINT ICED TEA: As much as berries are my thing, this version of iced tea failed to impress. Way too sweet even after the ice melts its way through, the tea flavouring was off and something about it didn’t quite work for our palates. Maybe the proportions will have to be reconsidered if the team at Sodabottleopenerwala experiences similar feedback from other patrons. This of course, and as always, was our personal opinion. CLASSIC AKURI WITH BUTTERED TOAST: A preparation that instantly takes me back to my childhood (my grandma made it often), Akuri is one such egg dish that will always have my heart. 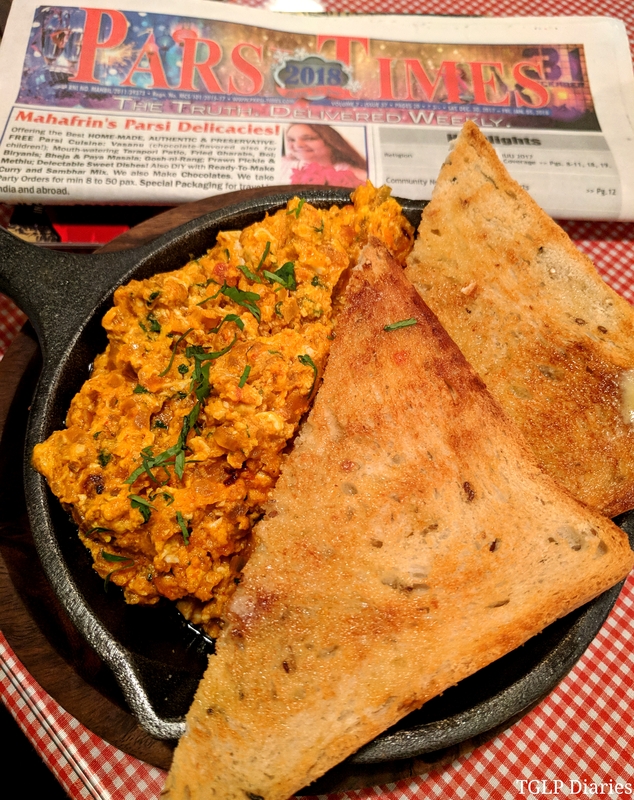 For those who aren’t aware and to put it simply, it’s scrambled eggs but prepared uniquely by the Parsis. It’s a tad bit runny and is loaded with flavours courtesy the fried onions, coriander and other rich masalas. Pair it with some crispy, buttered toast and you’ve got yourself a meal to fall in love with! The one we had here was homely, beautifully made and thoroughly enjoyed. MEATY PORO: Calling out to all omelette lovers out there! This is for you. For the Parsis, having eggs as a part of their cuisine is a very big deal. So there’s no way they’d miss out on having their own fantastic version of the classic, flat omelette. Poro is that. Fried to perfection and loaded with ham bits, pickled onion, gherkin, crispy bacon and cheddar, the Meaty Poro comes with an array of sides like mayo potatoes, sauteed vegetables, baked beans and pav (which mind you, was brown and tasted ridiculously good!). A meal in itself, Sodabottleopenerwala has a variety of poro preparations to choose from and each one sounds better than the next. Go take your pick! 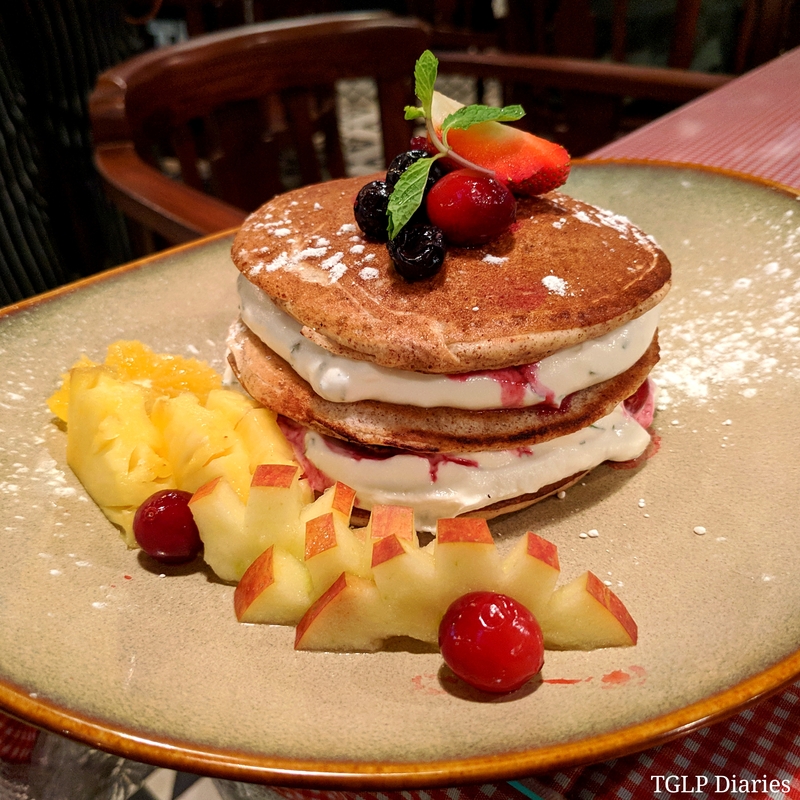 MIXED BERRIES, YOGURT CREAM AND MINT PANCAKES: If you think all this wasn’t enough, we had to give pancakes a shot in the name of “dessert” and also mark the end of our big bawa breakfast. Now the good thing is, it looks amazingly indulgent and loaded with calories, but isn’t really… because they make their pancakes out of ragi and oats and the cream too is a healthy version made with yogurt… and of course, berries too are healthy, right? I realised later that we went overboard with our berry picks on this fine Saturday morning, but I’m not complaining. A 3-tiered mountain of pancakes is enough to be shared amongst a group of people after that insanely heavy breakfast. I love how they don’t compromise on their portions. Go for it if you love your pancakes but hate the guilt that comes with its consumption. 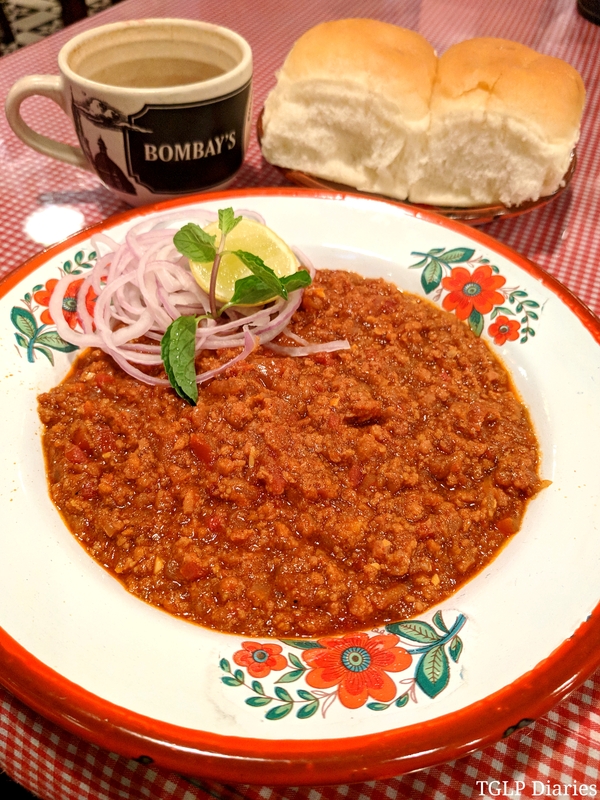 BOHRI KHEEMA PAO: They say comparison is the thief of joy… and rightly so… because we ended up comparing their version of Kheema Pao with the ones we’ve tasted earlier and loved. To be fair, what lacked was the flavourful meat that one expects in a zestful dish like this. Although Bohri style kheema isn’t meant to be as “masaaledaar”, the puree base overpowered the actual taste of minced meat and that was certainly a downer. Other than that, it also looked like a beautiful plate of kheema pao bhaji… Which isn’t a bad thing but maybe we hoped for more… Go figure! All in all, I suggest you give this menu a chance if you’re up for a Parsi breakfast treat. 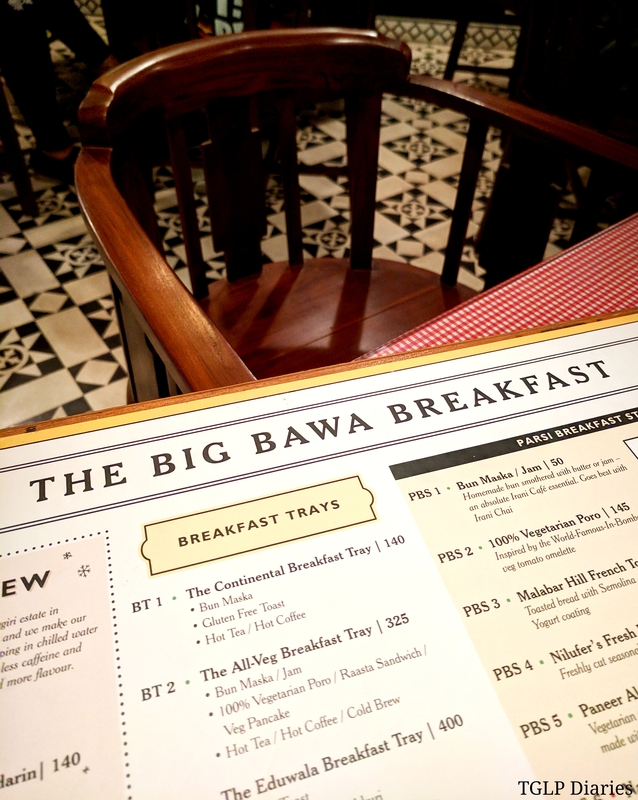 The Big Bawa Breakfast is available everyday from 8:30am to 12 noon at the BKC and High Street Phoenix outlets.